*astTECS voice logger is an ideal call recording solution for any business which ensures to improve better customer services. 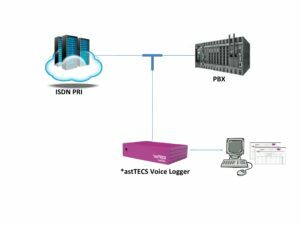 *astTECS voice logger system supports ISDN PRI, IP, Analog line and mobile to record all the incoming and outgoing calls for quality monitoring, training, disputes resolution and regulatory compliances. With its advanced features, flexibility and easy to use, it helps the organization to increase the productivity and customer satisfaction with higher quality management. 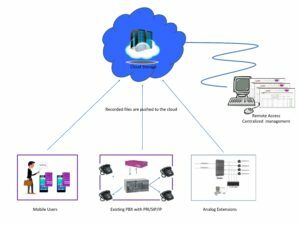 Enterprise architecture with multi channel recording with T1/E1, Analog, IP and Mobile. Access control for better security. As per new mandate from SEBI and RBI, it is mandatory to implement call recording solution by all banks, Stock Broking Firms and other Financial institutions. Recording provides immediate access to voice files for audit in case of any dispute and helps to resolve the issue quickly. Search for a specific call and play back or download instantly from our web interface. Enhance the customer services and agent productivity by tracking all the agents calls and their behaviour with the customers for training purpose and improving quality of service. It ensures to resolve customers queries quickly and on time. Store the recordings for future references. 3. Business Enterprises- IT, Real Estate, SMEs, Media Houses, Service Firms. Administer and minimise the risk of potential discontent among customers due to unsatisfactory customer service. Keep track of all calls and check whether the queries are addressed quickly to ensure organisational compliance. 4. Tourism & Hospitality – Hotels, Resorts, Railways, Car Rentals, Airline, Travel Agents. Record all calls for distributing information, reservation, cancellation etc. It provide an organized and efficient way to accurately manage, track, and bill guests for their telecom usage. Analyze the efficiency and effectiveness of the staffs on how calls are being handled and provide training to meet company compliance. Provides consolidated data for all branches to a centralised location to understand the performance of each location. 5. Health Care Sector – Hospitals, Clinics, Pharmacy. Record prescriptions issued verbally over phone, maintain call records for historical accuracy and ensure that the patient enquiries are dealt promptly and effectively over phone. Call recording and audit will help the management to monitor and track school staff’s activities and measure customer satisfaction for the services rendered. Recording will help to gather feedback and plan required actions to overcome the shortfalls. It helps to maintain regulatory compliance and improve the communication between customers and the service providers. *astTECS enterprise call recording solution is designed to meet enterprise need to record, store and track calls across all geo locations and all mode of communication channels. 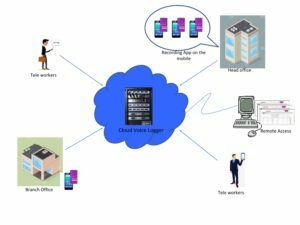 *astTECS enterprise voice logger is under one roof solution which can record calls from all channels like PSTN/ISDN, Analog, IP/SIP and GSM and merges in to a centralised voice logging application in the cloud enabling enterprises to access the files anywhere any time. Record calls from across all communication channels PRI, Analog, IP/SIP, GSM. Cloud Storage for centralised access and management. Seamless integration with existing PBX and telecom infrastructure. Record limitlessly; there is no lack of storage space, increase the capacity on demand. Option to configure the voice logger in active and passive mode. Comprehensive and location-wise call log search options. and callee) are mixed together and each call is logged as a separate audio file. Compatible with Cisco Call Manager, SIP supported PBX and many more. introduction of voice logger will not affect the functionality existing telephony network. 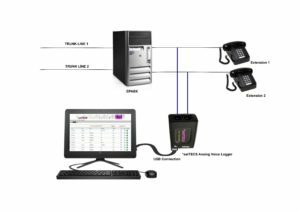 Analog voice logger is a PC based call recorder which is capable to record calls from an analog trunk or its extension line. The analog line voice logger is capable of logging call details including the caller Id, ring duration, call duration, call start time & end time, call type (incoming/outgoing), call status (failed / missed / connected). 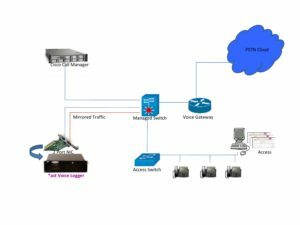 Easy to install solution which can be managed from a simple computer.